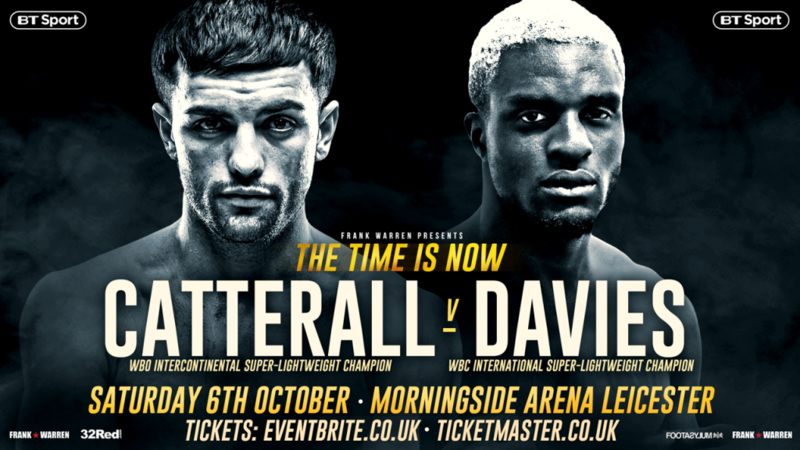 JACK CATTERALL BELIEVES a blueprint has been established for defeating super lightweight rival Ohara Davies, with the pair set to meet in the ring on October 6 at the Leicester Arena, live and exclusive on BT Sport. 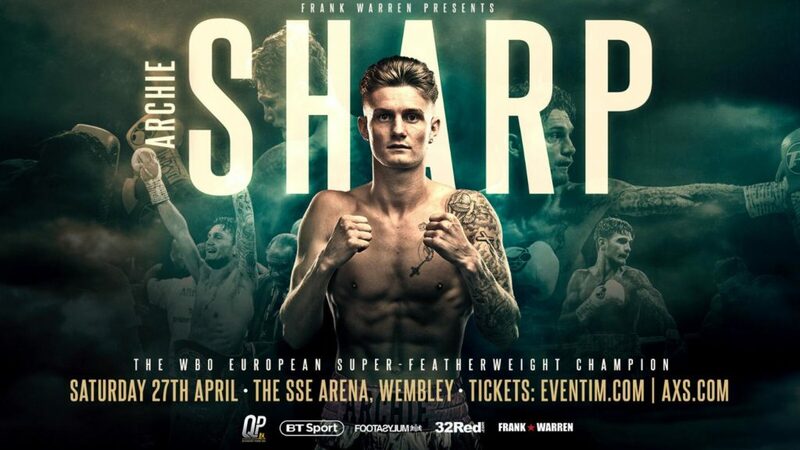 The Chorley southpaw, now working out of the North West base of new trainer Jamie Moore, has studied the highlight reel of Davies’ sole loss to Josh Taylor in July 2017, although it was not a fight he watched live as he was present on the same night at the Copper Box supporting his promotional stablemates. 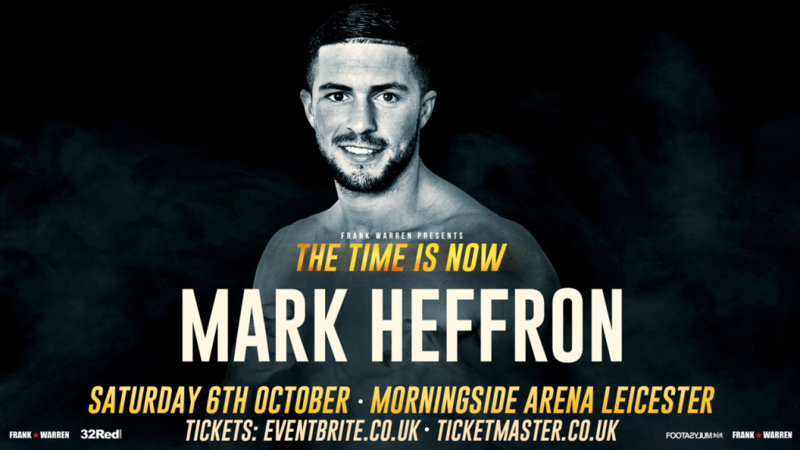 Word quickly reached him that the unbeaten record of the then flamboyant Davies had gone up in smoke in Scotland via a seventh round stoppage and Catterall suspects his next opponent sought an exit from the fight when the going got tough. However, the former British champion accepts that Davies poses a fairly unique puzzle for him to solve given the reach advantage he holds over most opponents. “Listen, I respect him as a fighter,” insisted the 25-year-old in his latest Fighter Diary posted on www.frankwarren.com. “He can fight and he’s had a few alright wins although I don’t think he has beat anyone great. “He’s been beat and we’ve seen the blueprint. He quits. He’s got long arms, I don’t believe he is the greatest boxer so we will just see on October 6 how I dismantle him. “He is an unusual one to prepare for given his dimensions but one thing I do believe is my timing and distance is something that works for me. I’ve sparred Bradley Skeete and a lot of tall awkward fighters. 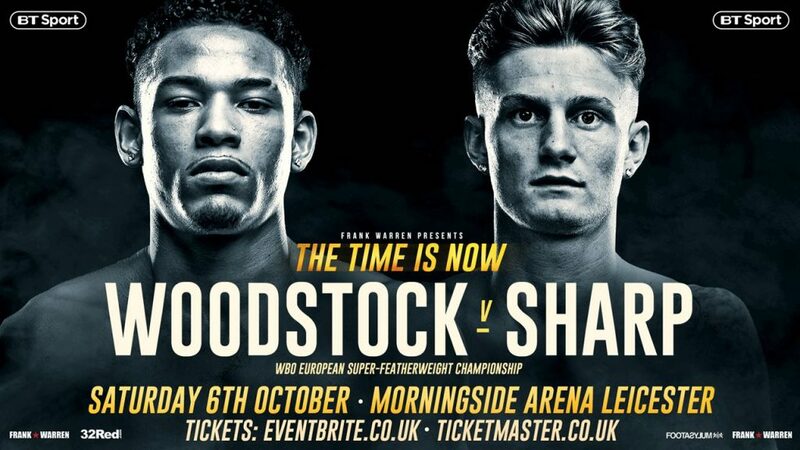 Davies has vowed not to stoke the fires ahead of the fight with any provocation on social media, which Catterall says suits him just fine, but he will respond in kind if any pot-shots do end up being posted in his direction. “There might or might not be a bit more spice in the build up to this fight, but I like to think to think I don’t get too involved in it all. “I’ll definitely not be taken for an idiot. If you have got something to say, then say it and I will respond. I’m not out there to troll any fighter and talk nonsense to build a fight. “Everyone is looking forward to this one, they know it is a good fight and I don’t believe there is any reason to talk trash. I am just excited to get the fight on. 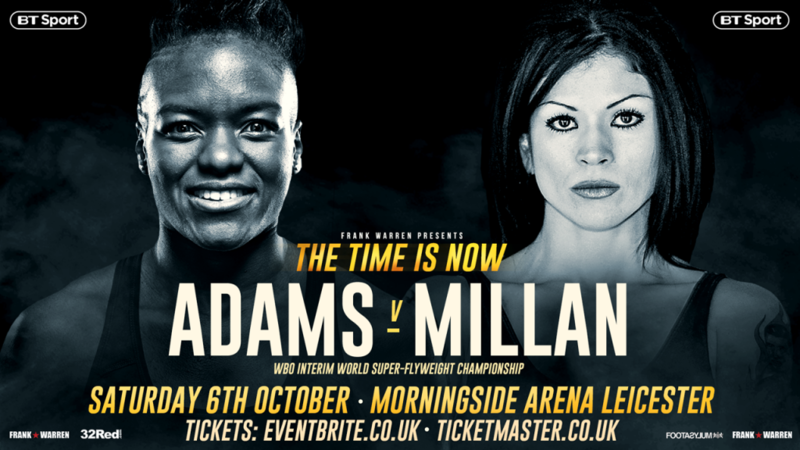 “Hopefully this will be the final step for me towards challenging for a world title. I have defended the WBO Intercontinental so many times that I should have a ring for it by now! “I’ve been doing strategic work with Richard Dean in the UK, Gary Clark in the US, and Christian Hiller in Germany. I’m experienced and am working in new ways. The mental side is a huge part of it for me now. That’s Richard Dean’s expertise right there, I’ve never worked with anyone better.” said the American. 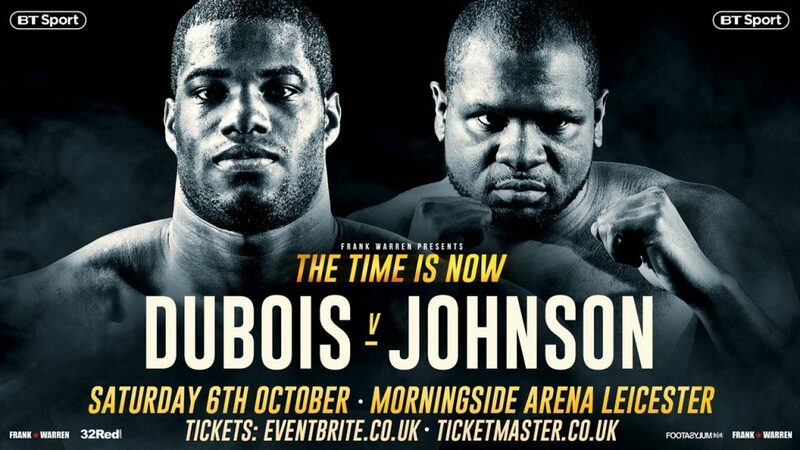 “Look at the facts, he’s fought no-one with anywhere near my experience.” explained Johnson. “I’m happy for him that he thinks that!” chuckled Johnson. “He definitely will not know until he steps in there. He will feel uncertain, no matter what he says, or what people tell him. He won’t have seen what I will bring. There will be points in that fight where he will feel very unsure, uncertain and unclear, and that is a fact. 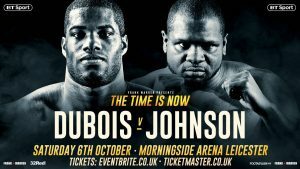 “To reiterate; Dubois hasn’t seen anything like me, and the world hasn’t seen anything like the me who has done lots of mental prep.